Every now and then along comes an artist who expresses themself in a startling new artistic style. I am thinking of Kudditji Kngwarreye. 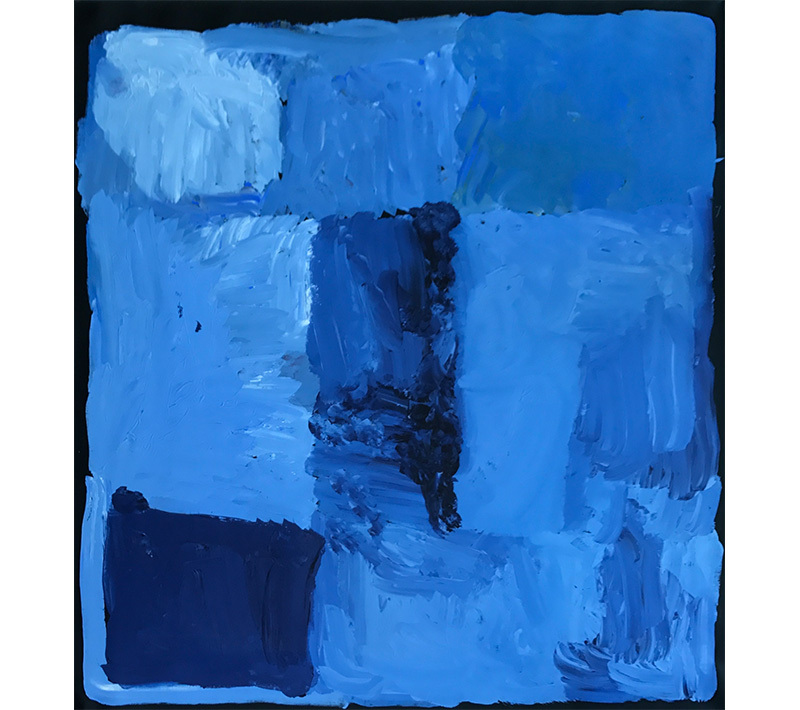 Born c.1928, Kudditji was a younger brother of the famous Utopian artist Emily Kame Kngwarreye. Sadly Kudditji passed away on 23rd January 2017, while living at “Old Timers” on the outskirts of Alice Springs. 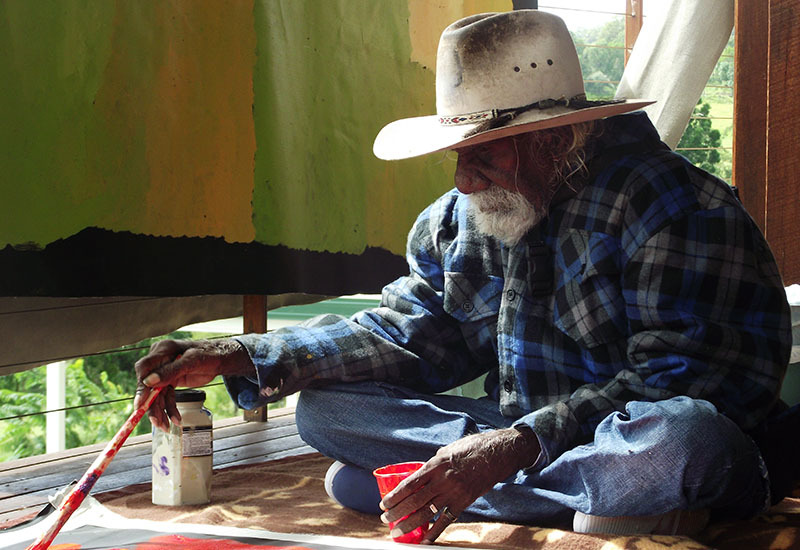 He had a traditional bush upbringing in the country to the north of Alice Springs. This vast area was named “Utopia” by the early German settlers who established cattle stations there. 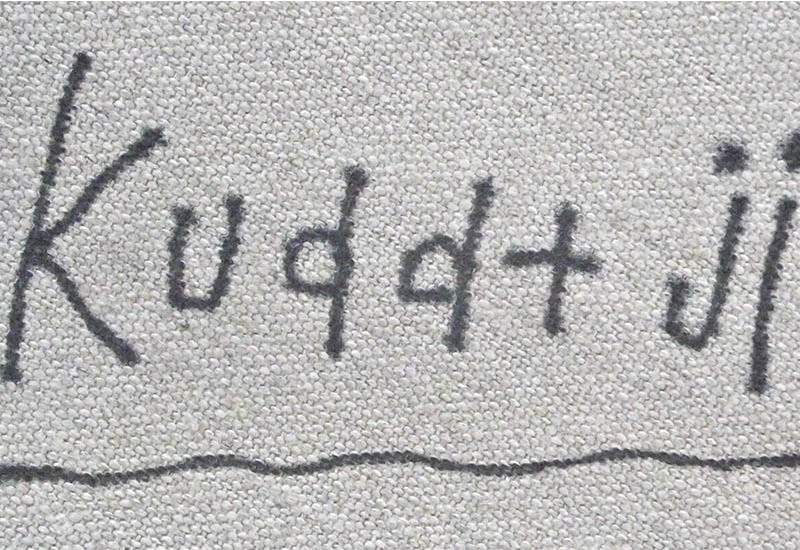 Kudditji worked on these stations as a young man – as a stockman and a fencer. He was living and working in his own country. Kudditji became a very respected elder of the Anmatyerre people and would take the young men out hunting emu as part of their initiation as men. In 1986 he started painting in the traditional detailed pointillist style. But in the 1990’s he suddenly and radically changed his style and began to use a large brush heavily loaded with colour. He covered the canvas in large blocks of vibrant colour that was both creative and exciting. At first the market was wary (and not quite ‘brave’ enough?! ), and his paintings did not sell very well. With urging from his large dependant family he went back to his old style for awhile. But he was keen to experiment with his big “dump dump” brush so he went back to it. This time the art market “got it“ and his paintings became very sought after. He painted and sang into the night. His paintings are held in major collections here and abroad. Kudditji leaves a great legacy in his artworks. Words by Rae Walker, August 2017. If you would like further details of any of these paintings please do not hesitate to ask.